RS: This is a follow-up interview, but for people who are not already familiar with your work, tell us what kind of books you write and what readers should expect from your stories? What is your latest book about? RS: What was the duration of the writing process for Strange Ladies? As for these stories, some go back fifteen years. Yeah, I’ve been around for a long time, building up my career. A few years ago, disgusted with New York Big Publishing and hit with a personal set-back, I dropped out of the business altogether and spent some years studying and writing screenplays. Now that I’m back, New York Big Publishing is even worse than it was before. Thank God for independent publishing. Viva la revolution! Not that taking your career into your own hands is ever easy. RS: To shift to a story of yours that’s already sold to the movies, when Tomorrow's Child is adapted to film, and the producers ask for your dream cast, what will you say? RS: Stephen King often makes a cameo in films adapted from his work. Stan Lee is also enjoying doing that these days. What supporting role would you like to play in the film adaptation of Tomorrow's Child? RS: For a writer, word of mouth is everything. What was the last book you read that you enjoyed so much that you wanted to share it with everyone you know? RS: As of this writing, the trend in publishing is toward series novels as opposed to stand-alone books. Do you have a series going? LM: Yes, The Garden of Abracadabra kicks off the Abracadabra Series and The Labyrinth of Illusions is presently in R&D. Celestial Girl (A Lily Modjeska Mystery) is a miniseries of four books, which are done, though potentially Lily could go on. And I’ve got a new High Concept Science Fiction in the works. As a reader, I like stand-alone books; I also like series. It depends on the book or the series. RS: Saul Bellow said, “You never have to change anything you got up in the middle of the night to write.” Where do ideas for books come from, and where are you and what are you typically doing when inspiration strikes? LM: Hah! That’s a great Saul Bellow quote. And often, but not entirely, true. Everything needs more work in the morning. A fine and unusual example of how pure inspiration struck me instantly—after half a dozen years of preparation—is in my 30-day blog The Story Behind The Story That Sold To The Movies, included in the ebook of Tomorrow's Child. RS: Brett Easton Ellis once said, “Do not write a novel for praise. Write for yourself; work out between you and your pen the things that intrigue you.” Indie publishing phenom Amanda Hocking has said that it messed with her head a bit when she realized so many people were going to read the books she’s now writing. 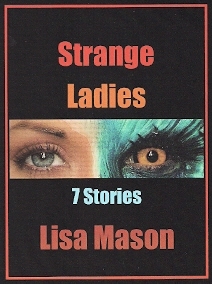 Now that Lisa Mason is rapidly gaining recognition in the publishing world, has an established fan base anticipating her next novel, and is being talked about in the highly-reverent third person, will reader expectations influence how and/or what she writes? Or will she hold to Ellis’ suggestion? RS: The world of indie authors is the new slush pile. What are you going to say/do when a traditional New York publisher and/or agent contacts you and asks for a meeting? LM: Well, I’m not quite an indie author, Ryan, I’ve been published by Bantam, Random House, Avon, William Morrow, Eos, Omni Magazine, Asimov’s Science Fiction Magazine, The Magazine of Fantasy and Science Fiction, and more. I’ve got three blogs starting in February, 2013 on www.lisamasontheauthor.com titled “Crunching the Publishing Numbers,” which will provide you with a summary of the state of Big Publishing. RS: Someone once said, and it may have been my dad, “If you fail to plan, you plan to fail.” Where do you want your writing career to be in five years’ time? LM: The Abracadabra Series is a happening thing and The Garden of Abracadabra is IN PRINT; I can definitely see two or three more books in the next ten years, and more books in the years to come. My new Top Secret High Concept Science Fiction will definitely go on for two more books. I have a dystopian fantasy concept on the drawing board. Plus short stories set in all those worlds. I have four backlist books, my early Avon cyberpunks and my later Bantam science fiction epic, Pangaea, both of which will take time to develop as ebooks. 2016 Note: Arachne, the first of the cyberpunks is up and running as an ebook and BACK IN PRINT! 2017 Note: Cyberweb is also up and running as an ebook and BACK IN PRINT. Finally, I sincerely hope we do not find ourselves in World War Three within the next five years. And there you have it, Ryan my friend! Thank you for this follow-up interview! Visit me on my Facebook Author Page, on my Facebook Profile Page, on Amazon, on Goodreads, on LinkedIn, on Twitter at @lisaSmason, and at Science Fiction and Fantasy Writers of America.